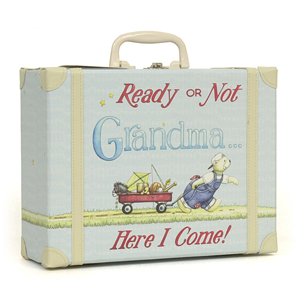 For that first of many trips to Grandma's for some loving hugs and kisses, your little one is ready to travel! An adorable and fun baby keepsake that is truly functional too! Suitcase measures 11" x 8" x4". Includes 30' x 36' fleece blanket. Pink for baby girl and Blue for baby boy!